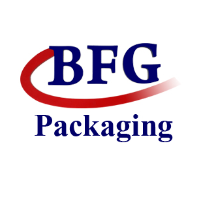 BFG Packaging announces rolling out new activities in Northwestern Europe. Last year, the former British Foam Grup teamed up with a group of Dutch and Belgium investors to execute an ambitious growth strategy. The group has a new line of polypropylene products and is now focusing on further roll-out of business in The Netherlands, France, UK, Spain and Germany. The allocation of labor resources in Romania has always given the company a competitive advantage compared to some of its Italian or English competition. The distance is not cancelling out this effect, according to Ovidiu Spataru, Logistics manager at BFG. “We employ a combined transportation system that guarantees frequent, steady delivery to the outskirts of European regions, without suffering increased transportation costs. We have a hub and spokes network operating that enables us to get a plastic tray to the north of England just as fast as a national supplier would”. Nonetheless, Hoet doesn’t want to position the company as a price fighter. “In the food packaging industry, everybody knows that quality is the main preoccupation. Above all, you want your food to be protected and displayed in an attractive way”. He explains that BFG’s R&D team has tested the application of some new additives to the PP granulates that results in the exact same transparency levels as PET. “The traditional concern of marketeers about PP packaging is now completely outdated: it’s absolutely impossible to separate PP and PET based on their transparency”.